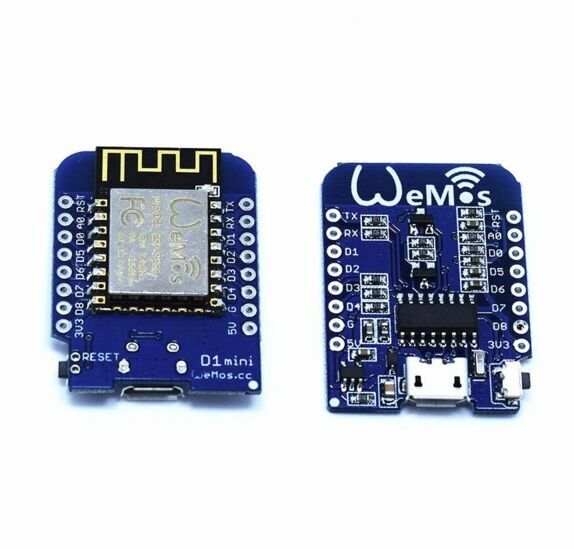 D1 Mini NodeMcu 4M bytes Lua WIFI Development Board ESP8266 by WeMos v! These things are amazing. And for the price, it's even better. You can use them for any wireless project. My last project has them plugged in 27/7. They've been going strong now for over 1 year without an issue. I'm impressed. This tiny microcontroller (Wemos D1 4 MB Flash ROM) is the best way for web projects and is exactly what's a want for HTTP server. Very good quality and stable. It is an unbranded copy of the WeMos D1 mini. Neither the ESP8266 board nor the larger board have "WeMos" on them, and it says "m1n1". It does not match the picture. It's a cheap Chinese clone, so you're taking a risk on the quality.